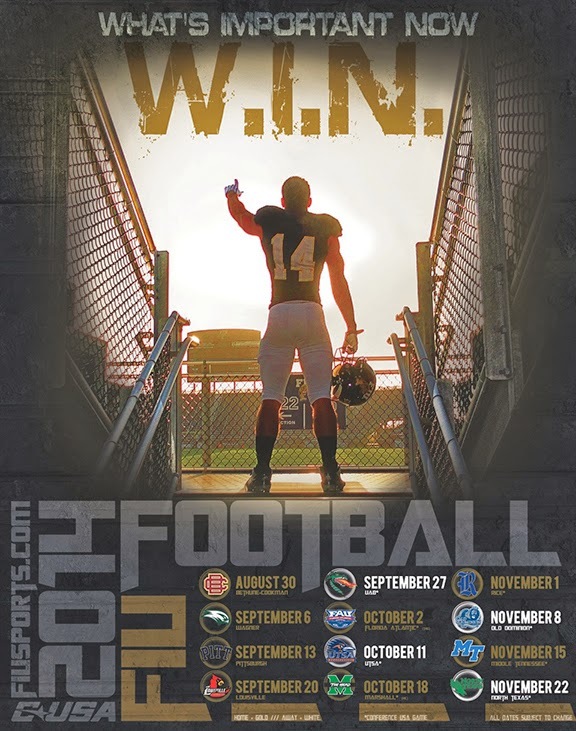 Florida International produced five posters, one for each home game. The Panthers improved in season No. 2 under Ron Turner, going 4-8 after he guided the squad to 1-11 season in 2013. 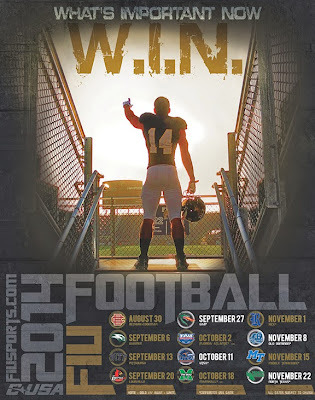 The team's depth appears to be improving, but FIU will play only one home game before Oct. 10. In a word, Ron Turner's first season at Florida International was a disaster. The Panthers were 1-11, the only victory coming against Southern Mississippi, which was in the midst of a 23-game losing streak. Turner has gone 5-30 in his last three seasons as a Division I-A coach and two of those seasons ended with 1-11 records. Yes, this is only his second season in Miami, but it could be the last season for Turner. Florida International is regarded by many as the team to beat in the Sun Belt Conference, but the Panthers weren't sharp in a 46-26 loss at Duke. Up next is FIU's home opener against Akron.